Excel Maritime Carriers Ltd., an owner and operator of dry bulk carriers, today announced that the United States Bankruptcy Court for the Southern District of New York confirmed the Amended Joint Chapter 11 Plan of Reorganization, which has the support of the company's senior secured lenders and unsecured creditors. The plan was unanimously accepted by Excel's two voting classes, with 100% of the class of secured lenders and approximately 92% of the class of impaired Excel general unsecured creditors, by value, voting in favor. Excel expects to emerge from Chapter 11 in mid-February 2014. Upon completion of the restructuring process, the company's total prepetition debt of $920 million will be reduced to approximately $300 million. Excel Maritime Carriers Ltd. say they have reached an agreement on the terms of a modified plan of reorganization with its senior secured lenders and the Official Committee of Unsecured Creditors, which was filed with United States Bankruptcy Court for the Southern District of New York. "We are pleased to have reached this agreement with our lenders and bondholders, which positions Excel Maritime for future growth and success," said Gabriel Panayotides, Chairman of the Board. 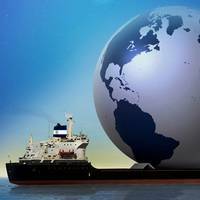 Excel Maritime Carriers, owners & operators of a large fleet of dry bulk carriers, become the latest casualty of the downturn in the shipping industry, but sets financial plans for recovery. The company says t has reached an agreement in principle with a steering committee of its senior lenders on the terms of a financial restructuring to strengthen its balance sheet. Up to $50 million infusion of capital as a result of an agreement between the senior lenders and an entity affiliated with the family of Gabriel Panayotides, Excel Maritime's Chairman of the Board of Directors. 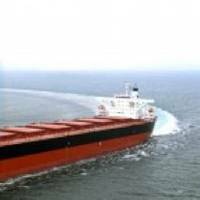 New one-year time charters for two dry bulk carriers of Excel Maritime Carriers Ltd. Kamsarmax M/V Iron Vassilis (82,257 dwt; built in 2006) and Panamax M/V Grain Express (76,466 dwt; built in 2004) have been fixed for a period of 10 -13 months at a gross daily rate of $11,000. Following these fixtures, the Company’s charter coverage for the full year 2012 is: 72% for the entire fleet; 100% for the Capesize fleet. Excel is an owner and operator of dry bulk carriers and a provider of worldwide seaborne transportation services for dry bulk cargoes, such as iron ore, coal and grains, as well as bauxite, fertilizers and steel products. Excel Maritime Carriers Ltd. (NYSE: EXM), an owner and operator of dry bulk carriers and an international provider of worldwide seaborne transportation services for dry bulk cargoes, entered into new period charter agreements for yet another two of its vessels. • Panamax M/V Grain Harvester (76,417 dwt; built in 2004) has been fixed for a period of 10-13 months at a gross daily rate of $11,250. As a result of these additional charters, the company has 100% coverage of its Capesize vessels; 60% coverage of the entire fleet. Excel Maritime Carriers Ltd. (NYSE: EXM), an owner and operator of dry bulk carriers and an international provider of worldwide seaborne transportation services for dry bulk cargoes, has entered into four new period charter agreements for four of its Kamsarmax vessels. -	Each of the Kamsarmax M/V Ore Hansa (82,209 dwt; built in 2006), M/V Coal Gypsy (82,221 dwt; built in 2006) and M/V Iron Brooke (82,594 dwt; built in 2007) has been fixed for a period of 10 – 13 months at a gross daily rate of $11,250. -	53% coverage of the entire fleet at an average TCE rate of $16,114. Excel Maritime Carriers Ltd, an owner and operator of dry bulk carriers and a provider of worldwide seaborne transportation services for dry bulk cargoes, has announced its operating and financial results for the second quarter and six month period ended June 30, 2011. - Disposal of 1985 Handymax MV Lady on advantageous terms. To read the rest of the report, visit http://www.excelmaritime.com/uploads/exmpr072811.pdf. Excel Maritime Carriers Ltd (NYSE: EXM), an owner and operator of dry bulk carriers and provider of seaborne transportation services for dry bulk cargoes, announced today that it has entered into two two-year time charters for its Kamsarmax vessels M/V Coal Hunter and M/V Santa Barbara. M/V Coal Hunter and M/V Santa Barbara are both 2006-built Kamsarmax bulk carriers with carrying capacity of 82,298 and 82,266 dwt respectively. The vessels have been fixed under separate time charters with European charterers for a period of two years at a gross daily charter rate of $15,000 for the first year. The daily rate for the second year will be linked to the Baltic Panamax Index (BPI) with guaranteed minimum rate (floor) at $14,000 per day and a profit sharing arrangement. ATHENS, GREECE – March 16, 2011 – Excel Maritime Carriers Ltd. (NYSE: EXM), an owner and operator of dry bulk carriers and an international provider of worldwide seaborne transportation services for dry bulk cargoes, announced today that it has entered into a one year time charter agreement for M/V First Endeavour, a 1994 built Panamax bulk carrier with 69,111 dwt carrying capacity, at a gross daily rate of $17,500 with a reputable charterer. Seaspan Corporation (NYSE:SSW) announced the financial results for the three and six months ended June 30, 2010. Gerry Wang, Chief Executive Officer of Seaspan, stated, "During the second quarter, Seaspan achieved high utilization for its modern fleet and posted strong operating results while further expanding its contracted revenue streams. We took delivery of six newbuildings, four of which were delivered ahead of schedule, highlighting increased demand during the quarter. All six vessels commenced long-term time charters with top liner companies as planned. In addition, we capitalized on an attractive market opportunity by acquiring a 4250 TEU newbuilding, our first acquisition since late 2007. Excel Maritime Carriers Ltd (NYSE: EXM), an owner and operator of dry bulk carriers and an international provider of worldwide seaborne transportation services for dry bulk cargoes, announced its operating and financial results for the first quarter ended March 31, 2010. A reconciliation of the non-GAAP measures discussed above is included in a subsequent section of this release. Pavlos Kanellopoulos, Chief Financial Officer of Excel, stated, “We are pleased to report yet another profitable quarter with increased cash flow generation. We believe that our balanced fleet deployment strategy has allowed us to take advantage of the improving dry bulk market conditions and has resulted in increased EBITDA and operating cash flow compared to the respective period of last year. Excel Maritime Carriers Ltd (NYSE: EXM), an owner and operator of dry bulk carriers and an international provider of worldwide seaborne transportation services for dry bulk cargoes, announced that Charalampos Mazarakis has been appointed as the Company's Chief Operating Officer. Mazarakis will assume his position in mid May 2010. The company also announced that Pavlos Kanellopoulos has been appointed as the company's Chief Financial Officer. Kanellopoulos will assume his position in early April 2010. Mazarakis has 20 years of experience in finance and operations positions, mostly at a senior level. Mazarakis started his career in 1991 at Procter & Gamble in Greece. OceanFreight Inc., (NASDAQ:OCNF) a global provider of seaborne transportation services for both drybulk and energy commodities, announced it has agreed to acquire a 2006 built 173,949 dwt Capesize bulk carrier for a purchase price of $61.25m. The vessel is scheduled for delivery before November 30, 2009. Upon delivery to the company the vessel will commence employment on a time charter for a minimum period of five years and a maximum period of 8 years at a rate of $26,000 per day. Anthony Kandylidis, Chief Executive Officer of the Company commented “We are very pleased to have acquired another high quality modern Capesize vessel. We continue to put to good use the equity proceeds recently raised. 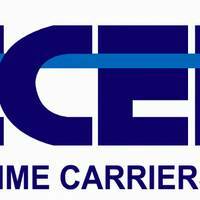 Excel Maritime Carriers Ltd (NYSE: EXM), an owner and operator of dry bulk carriers and a provider of worldwide seaborne transportation services for dry bulk cargoes, announced its operating and financial results for the first quarter ended March 31, 2009. • Net income was $118.0 million or $2.57 per weighted average diluted share compared to $35.1 million or $1.76 per weighted average diluted share in the first quarter of 2008, an increase of approximately 236.2%. The results for the first quarter of 2009 include a non-cash item of $6.7 million relating to the unrealized gain from the valuation of interest rate swaps and $0.1 million gain on sale of a vessel. Globus Maritime Limited (AIM: GLBS.L), a marine transportation company that owns and operates a fleet of Handymax and Panamax dry bulk ocean-going vessels, announced that it has signed a Memorandum of Agreement with an unaffiliated third party for the sale of the M/V Island Globe, a 1995-built Panamax dry bulk carrier, for the gross price of $19.1m in cash. Delivery to the new owners is expected to take place between June 1, 2009 and October 20, 2009, at the option of Globus. Once the sale is concluded and taking depreciation into account, the company expects to realize a capital loss of approximately $13.5m as the vessel had been purchased in July 2007 for $37.9m. Globus intends to utilize the proceeds from this sale to repay bank debt and strengthen its liquidity. Excel Maritime Carriers Ltd announced on Feb. 18 that the board of directors of Oceanaut, Inc. (AMEX: OKN; OKN.U; OKN.WS) has determined that Oceanaut will not consummate a business combination by the March 6, 2009 deadline provided for in its charter, and that it is advisable that Oceanaut be dissolved. Oceanaut intends to begin promptly the process of dissolution and liquidating its trust account in accordance with its charter and applicable Marshall Islands law. Assuming shareholder approval of Oceanaut’s plan of liquidation, Oceanaut expects to liquidate its trust account and make an estimated payment of approximately $8.27 per share of common stock. Excel Maritime Carriers Ltd (NYSE: EXM), an owner and operator and provider of worldwide seaborne transportation services for dry bulk cargoes, announced the delivery of a newbuild Capesize vessel as well as the cancellation of a vessel purchase agreement. Excel Maritime has taken delivery of the newbuild Capesize vessel M/V Sandra on December 26, 2008 from the Imabari Shipyard in Japan. The vessel has a carrying capacity of 180,000 dwt and has been deployed under a 5-year time-charter at the gross rate of $ 39,000 per day. In addition, the company has successfully cancelled its obligation to purchase the 2002 built Supramax vessel M/V Medi Cebu with a carrying capacity of 52,464 dwt. OceanFreight Inc., (NASDAQ:OCNF) a global provider of seaborne transportation services announced that it has entered into an amendatory agreement to its $325m senior secured credit facility with Nordea Bank Norge ASA, as Administrative Agent, under which the lenders have agreed to an amendment and waiver of the collateral maintenance coverage ratio covenant contained in the agreement. Anthony Kandylidis, Chief Executive Officer of the Company commented “Our proactive approach with our bankers has allowed us to enter into this amendment to our loan agreement and achieve a lower collateral maintenance coverage ratio in light of the recent decline in vessel values, particularly in the dry bulk sector.